I know for sure that there are a lot of people in this world walking around suffering from a significant case of mercury poisoning, who are totally oblivious to this fact. I know that this is the case because five years ago, I was one of them. 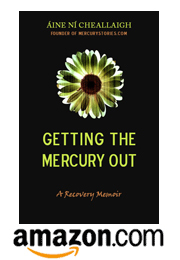 I was pretty savvy about alternative healing, and yet I didn’t have a clue that mercury was slowly eating away at my body and brain. Mercury leaking from my amalgam fillings probably would have continued to erode my health for decades if I hadn’t accidentally put myself on the fast track to diagnosis. Amalgam fillings left alone cause a glacially slow increase in bad health. But when they’re all removed at once, they trigger a detox reaction that shoots the intensity of mercury symptoms into overdrive. When this happened to me, it was a wake-up call. Something was wrong! I had to figure out what it was! But for most people who are mercury toxic, they never get this slap in the face. It doesn’t occur to them to get their amalgams removed, so they keep trudging along, their health slowly ebbing away. When things get serious enough for them to seek medical help, they rack up diagnoses like Chronic Fatigue Syndrome, Fibromyalgia, Syndrome X. But conventional testing and diagnosis never uncovers the true cause of their misery. Now, I’m not suggesting that everyone who has amalgam fillings should rush out and have them all removed just to see if they have mercury symptoms that kick into overdrive. I didn’t know it when I got sick, but there is a much easier way to check to see if you are mercury toxic. You don’t even need to visit a doctor or get a prescription. As you can see in the sample test below, the hair level of mercury is measured in this test, but in a confusing twist, this level does not correspond to the body’s actual burden of mercury. Using this test to confirm mercury toxicity involves applying a set of diagnostic criteria called The Counting Rules which are discussed in Andrew Hall Cutler’s book Hair Test Interpretation. Hair tests are not currently used by most mainstream practitioners, but hopefully as awareness grows, they will start to replace useless blood tests, and people won’t have to trudge through decades of ill health before getting an accurate diagnosis. Great post, Aine! Really learned a lot. Thanks for all the good, hard-won info 🙂 ! I contemplated going down the ‘Regret’ path when I finally realised I’d been missing the Hg diagnosis for longer than I needed to (I actually suspected but dismissed it more than once, as I don’t have amalgams and couldn’t figure out a source of exposure). However, I now view it as a humbling and learning experience. Having Hg mercilessly eat away at my health for so many years has been extremely unpleasant…and yet…it’s led me to question my place in life and the universe, and the very immediacy of my mortality, in a way I’d never have done had I not gone through this painful experience. I’m still as big a fool as anyone else but I’m a ‘wiser’ fool and thankful for it. If anyone reading this webpage is searching for health answers, just as Áine did (read her book, it’s all in there, in wonderful detail), and just as I did, then, if your symptoms seem to tally with those of heavy metal intoxication, Áine’s above advice is excellent – do consider getting yourself tested. 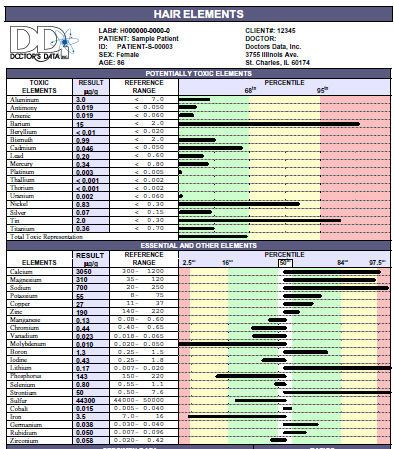 But regardless of whether the test results come back positive, negative or inconclusive, may I suggest you consider that declining health isn’t only negative – it has some positive aspects, too, which are well worth identifying and embracing. Preparing for Mercury Chelation (Part 1) on a tight budget « Nanay Miriam's "re-MISSION"